365 Project – Day 19 – Zzzzzz…. It amazes me how much time my daughter spends fighting sleep. You wouldn’t know it from today’s photo, but she’s a regular insomniac. Sadly, that means I am also an insomniac. The only one getting any regular sleep in this house is the the dog. Electra sleeps enough for all of us combined, and if you ask me, that just isn’t fair. I guess it shouldn’t surprise me that Cadence doesn’t sleep much. Her Daddy doesn’t either. He is a self-proclaimed non-napper, and is one of the only people I have ever met who literally jumps out of bed in the morning. Seriously. He jumps. The moment the alarm clock breaks the silence, he bolts upright, Exorcist-style, then leaps out of bed and heads to the shower. The first few months of our marriage I was startled awake by this routine every morning, and I required an extra cup of coffee just to take the edge of my frazzled nerves. I, on the other hand, loooooove to sleep. I love to be snuggled up warm beneath the blankets. I love to pull the drapes shut tight so the room is nice and dark. I like to sleep in and roll out of bed slowly and drink a cup of coffee before I have to officially turn my brain on for the day. I’m also snooze button abuser–hitting it four, five, even six or seven times before finally giving in reluctantly and climbing out of bed. It became apparent early on in my pregnancy that Cadence just might have quite a bit of her Daddy’s personality. From the moment I first felt the first fluttering movements in my belly, I was amazed at how much Cadence moved, how much she was always moving. She would kick, stretch, roll from one side of my belly to the other, and punch me regularly in the bladder. The bigger she got, the more she to moved, though I don’t know how she managed it in such close quarters. I guess she was just waiting to stretch her legs in the outside world, because it has been go, go, go ever since. Everyone says it’s a phase, that these sleepless nights won’t last forever, and I think it’s that promise that helps other new parents like me survive our sleep-deprived stupor. One day, my little girl will grow up and instead of fighting to stay awake, she’ll be fighting me to sleep just a few more minutes before she has to get up for school. Until then, I can just try to do my best, catching a quick catnap when I can and savoring the quick pick-me-up from a hot cup of coffee. 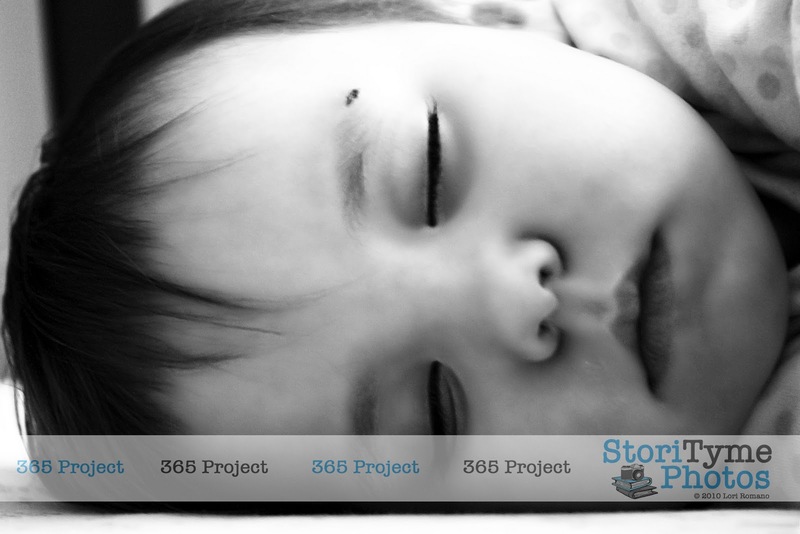 Today’s 365 Project entry is dedicated to my little insomniac. Sleep tight baby girl.